We are happy to announce that a new version of Custom Dynamic Search Engine Optimization (CDSEO) 4 add-on has been released for cs-cart v4 editions. 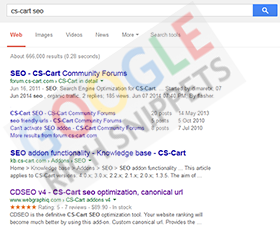 Custom Dynamic Search Engine Optimization (CDSEO) for Cs-Cart is the definitive cs-cart seo tool. Provides the ability to seo optimize your home, category, product and cms pages. Your website ranking will become much better by using this addon. We are happy to announce that a new version of Custom Dynamic Search Engine Optimization (CDSEO) v3 add-on has been released for cs-cart v3 editions. A highly recommended add-on for all cs-cart owner! You can read more details here Custom Dynamic Search Engine Optimization (CDSEO) v3. Custom 404 redirect links, redirects customers to a custom link (eg. 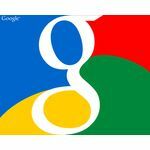 : sitemap, search, promotions page, etc.) automatically instead of showing the 404 error page. Updated the add-on, optimized the source code and some minor tweaks. SEO optimization with rel="next" and rel="prev" for paginated content. The proper implementation, based on Google directives. We have received a lot of requests to do something with the meta tags in news. By default there is no ability to enter the meta description and keywords for news, the CS-Cart engine does not handle it. We are glad to inform you that this feature was implemented into our CDSEO v3 and v4 add-on. We are glad to announce that a major update for the CDSEO v3, v4 add-ons was released. Implemented the most wanted SEO History feature. Also added support for Content (pages, polls, forms) pages. I bought your addon but I'm having some problems with the seo history feature. My store is in two languages and it seems like seo urls for these two languages are mixed up in the seo history. If I call an older seo url of the page in one language, the request is redirected to the correct page but with the seo url of the second language. This results in a change in the language of the storefront which is not a desirable thing to happen. Am I doing something wrong or is the addon not compatible with multi language sites? Thanks to Thomas for the great support and fast fix. Updated version solves my problem. Improved the multi-language SEO history handling. We are glad to announce that the Custom Dynamic Search Engine Optimization (CDSEO) add-on for CS-Cart v 4 editions was updated. This is another major update, implemented the Google Structured Data feature. The Google Structured Data AKA Google Rich Snippets helps to attract new buyers to your shop while they are searching something on the internet. 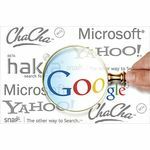 Rich snippets are designed to summarize the content of a page in a way that makes it even easier for users to understand what the page is about in the search results. As a quick reminder it’s best to think of SEO as part of your marketing. Sometimes it will make sense to do something that doesn’t help your SEO efforts and perhaps even hurts them a bit, because it helps your overall marketing. You don’t want to get lost in the details. We are proud to announce that the Custom Dynamic Search Engine Optimization (CDSEO) add-on has been successfully ported to CS-Cart 4.2.x.